Who says biotech equipment has to be dull? 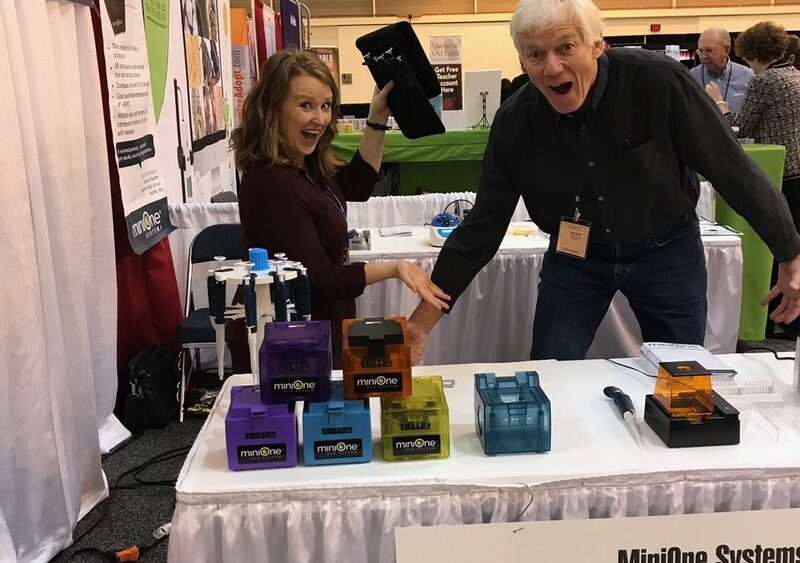 At NSTA New Orleans this November, MiniOne Systems debuted their fun, colorful new PCR systems in beautiful shades of green, purple orange, and blue… and as you can see, the crowd went wild over them! These playful and vibrant PCR machines are just as powerful, efficient, compact and practical as their more subtle forefathers, with the added bonus that they add a pop of color to your lab. What’s that on your bench? A video game system? A giant piece of candy? Nope, it’s the incredible MiniOne PCR system, the same one that’s making waves in the world of biotech education. 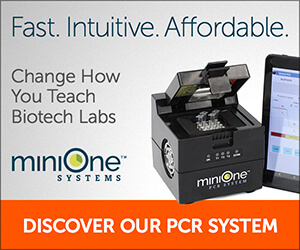 Stay tuned to find out when you can get your hands on one of MiniOne’s colorful new PCR systems, and click here to learn more about how they can change the way you teach biotech in your classroom!